If you are looking to dispose of your scrap car, whatever the condition of your vehicle is – damaged, none-running or otherwise unwanted – we can help. Wherever possible, you could be paid money for your scrap car. The price which can be offered for the vehicle will be dependent upon the condition, age and current scrap prices. To determine the price offered, submit a scrap car quote form or call us on 0800 610 1061 or 07377 625 805. Please note whilst scrap cars are taken in, other metals deemed scrap – copper wire, appliances, etc – are not taken in, nor are parts sold onward. At Scrap Car Biz, we have a vast network of scrap yards and drivers across England and Scotland who can assist with the collection of unwanted cars. Whilst your vehicle may be nearing the end of its use, it could still hold some value: A bit of money for something no longer wanted. To find out how much money could be offered for a vehicle, feel free to get in contact with us — Any quote offered is free and no obligation! 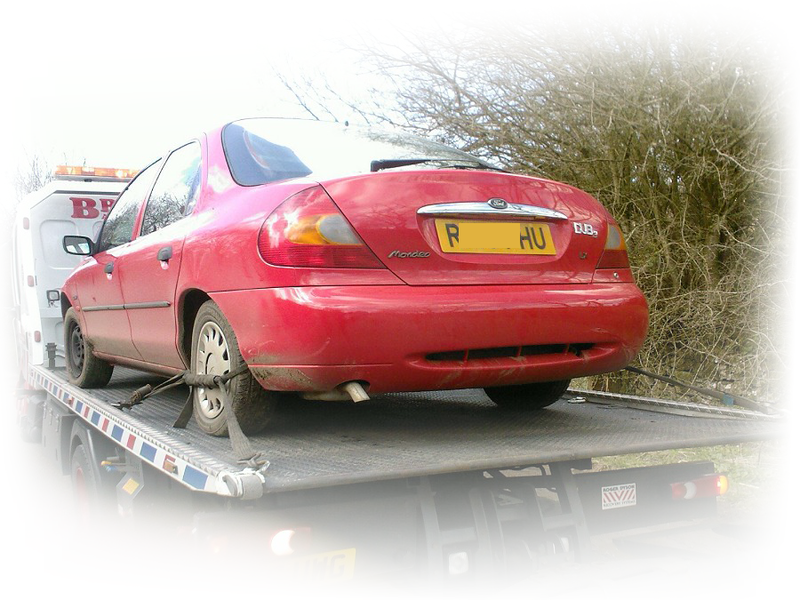 Not only do we offer money for scrap cars, a free collection service is offered for each scrap car. To ensure that our service is fully legal, we clarify with each driver that they are a licensed waste carrier, adhering to current legislations. This means that your scrap car collection will be arranged and processed by someone who is fully authorised to carry and dispose of the vehicle. Unsure if your area is covered for collection? Details of our regions and sareas available can be found here. In regards to ensuring that payments of money are finalised in a fully legal manner, payments will usually be made via direct bank transfer or cheque — it is now illegal to pay cash in most circumstances! Since our scrap car collection service is arranged by a licensed waste carrier, you can guarantee that your vehicle will be disposed of in a legal manner, so there is no worry about hidden fines! To receive a quote for your scrap car, which is completely free where you have no obligation to accept – it is your choice to accept, decline or decide later – submit one of our quote forms or call us on 0800 610 1061 or 07377 625 805. Birmingham , Coventry, Dudley, West Bromwich , Oldbury , Wolverhampton, Leicester, Derby, Bristol, Bath, Taunton, Swindon, Reading, High Wycombe, Oxford , Bracknell , Slough, Watford, Milton Keynes, London, Essex, Kent, Romford, Maidstone, Canterbury, Southampton, Leeds, York, Hull, Rotherham, Barnsley, Manchester, Liverpool, & Sheffield .